How to pull off a geek chic look? If you’re wondering, I will let you know, just buy a pair of see through sunnies, add a beret with a brooch and you’re already a half-way there. Pair it all with something velvet and flared and you’ve got yourself a geek chic AND 70’s look. Both looks are so popular right now and you’ll be all “Fall stylish” in this kind of combo. Remember my “Granny shoes” outfit post? Well, seems like I’m continuing to grow a chic grandma inside of me, hehehe. I also must mention that Longchamp has some incredible pieces in their latest collection for Fall/Winter. This soft, colourful top was such a nice punch of colour on a chilly Fall day and the leather bag with laser cuts in front and golden details were a magical duo I have completed this look with. The search for a fun Fall outfit is over, I can def. see myself re-wearing and also re-creating this look many times this season. Oh btw, I totally forgot to mention… HAPPY FALL!! I can’t even describe you how beautiful and magical Fall is in Helsinki! Golden, warm tones in the Nature are so dreamy and I’m using every chance there is to spend time in the parks, by the seaside and in the forest. Those are my escape moments which help me stay in the balance with a long working days and usual, every day life stress. This really is supergeek chic! 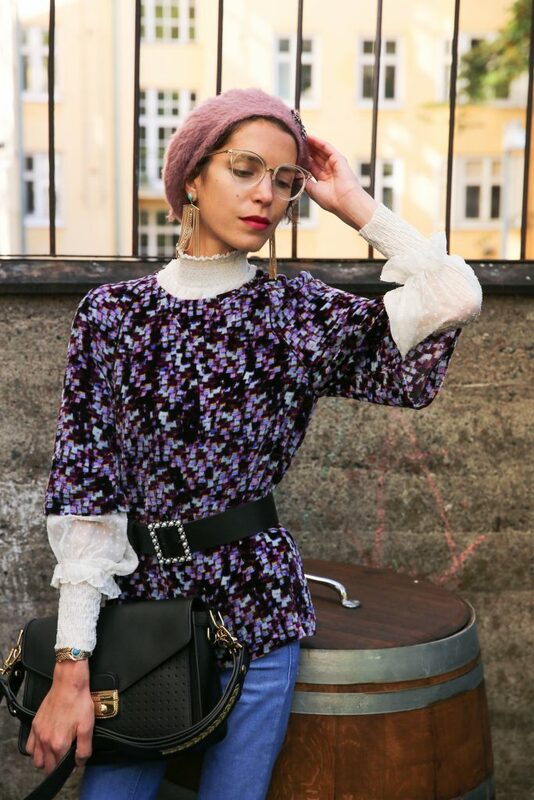 I love the beret and the glasses and the belt – accessories so on point! You pull off those glasses so well. I love how you styled them!! Thank you Courtney, I’m happy that you liked it! I need to switch up my eyeglasses, these are so cute! You are totally pulling them off and I love the flare jeans! Muy original este look, queda brutal la superposición de camisas que has logrado. You definitely nailed the geek-chic look! I think it’s a winner for Fall, and I agree about the dress. Congrats in advance on you 30 birthday !!! Thanks so much for every word and bday wishes! You’re so lovely! What a fun and quirky accessory! 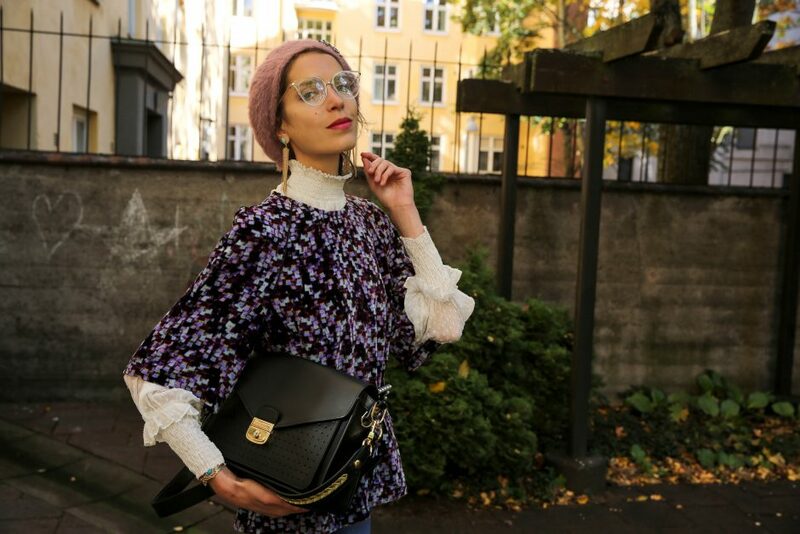 The glasses work beautifully with the beret, such a bold look! Thank you Luci, I’m happy to read that you’ve liked this outfit! Yes!! I’ve been loving glasses to accessorize and these go so perfect with your outfit! 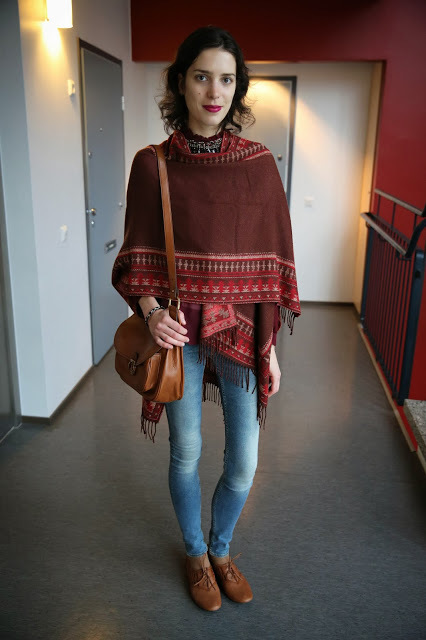 Nice outfit, love the jeans and bag! As a fellow glasses wearer, I know the limitations of styling frames. These are so chic and adorable, I love the clear frames. I may have to snag a pair myself. Oooh these are so rad! Great styling. These glasses look absolutely beautiful on you! I love how you styled everything! You make those glasses look good! Great styling. I REALLY love your top! So pretty! Ahhh I can only imagine how great fall must be in Helsinki! Great “geek” look and yes still looking chic! I love how original this outfit is. You rock it girl!! The Outfit look very nice. It´s very original look, but I like it. But you are very skinny. You look lovely, the earrings gave such a nice touch! You seriously pull off geek chic so well! Loving those flared jeans! These glasses look really nice together with the beret! You have such an amazing style, girl! You are totally pulling this off, love your outfit. The nerdy glasses and the bell bottom pants are my favorite. You look gorgeous! How can you look so classy and pretty with those eyeglasses? !